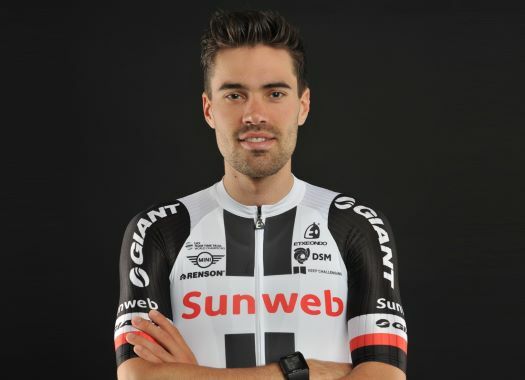 Tom Dumoulin (Sunweb) is glad to have finished a stage of the Giro d'Italia that proved to be difficult, even though he didn't wear the Pink jersey at the end of the day. The Dutchman took the GC lead on the first stage of the Italian race and then he already mentioned that his intention was not to hold on to the Pink Jersey, which ended up going to BMC's Rohan Dennis. "The team did a really good job controlling and protecting me throughout the day today," said the rider at the end of the stage. "As expected, the stage was sometimes stressful with the wind but in the end all was ok. In the final, I was suffering a bit and there were a lot of crowds but we managed to come through well and finish safely." The 2017 Giro d'Italia champion is relieved to let go of the leader's jersey for now. "The other team’s made us lose the jersey; it’s incredible to wear it but it’s still early on in the race," he explained. "Not having the jersey saves us having to control the entire race, and saves the post-race activities, too. This means that we can keep our energy for further on in the race for the important moments."